When we are in another country or even just visiting someone we know, we adapt to the culture, food and ways of ‘their’ lives because we know that it is temporary; we will go ‘home’ soon to the security of our own ways. We laugh at their humor, listen openly to their political views and their life’s drama because, well, it’s not our life. We will return to our own comfort zone, the friends who share our beliefs and value systems and wolf down a jelly sandwich. It occurs to me that we could be inclined to roam this earth that same way; settle in, become resolute – in a disconcerting way – with the politics, the religiousness, the poverty, pain, disease, illness and hopelessness of the people we read about or with whom we surround ourselves. It could become sort of normal day to day stuff. Yet, we are the light, the hope and the glory of the Lord sent down to be the salt of the earth. We are sanctified and set apart to be Holy, living a Holy, righteous life for such a time as this; to awaken people to the Truth and the Light of the world. We are the "BUT GOD" generation that sees what’s going on, yet recognizes our God is bigger than all of this. Knowing we are seated in the “Heavenlies” (Eph 2:6), we ought to live our life here on earth significantly, knowing that we go HOME after our time here is done. The here and now is temporary and then we return to the Kingdom of whence we came; back to the place we can breathe freely and easily; no tension, no pain and no tears, no power hungry people fighting for top billing, for there is no doubt Who is seated on the Throne. With that knowledge arming us, we can then become the Elisha’s to the next generations asking that God open their eyes to see there are more for them than against them. (2 Kings 6:16) We are the Deborah’s, the Esther’s, the Joshua’s and the Isaiah’s; we are the Paul’s, the Peter’s, the John’s, the Anna’s and the Mary’s. We are the ones who will step out for Christ’s sake; who will boldly speak His name without concern of what other’s will say or think. We are unafraid to teach those younger than us that all good things come down from the Father of Lights (James 1:17) and that we hold high the Name of Jesus without fear of death. As we strain toward the High calling, changing into the image of Christ, our interest in the things of the world become less and less. It is the devil’s playground really (the media, politics, the 7 mountains - as Lance Wallnau calls it) and we do not want to engage in the activities the world promotes or maintain its corruption; we are physically present in the world, but not of it. (John 17:14-15) We commit ourselves to the transforming of the mind, to the thoughts and ways of Christ. Blessed to enjoy the physical beauty of the world God created for us, we do not have to immerse ourselves in worldly values, but rather lend ourselves to the worship of God, decreeing light in the darkness and pointing others toward our true Home. Our final destination. 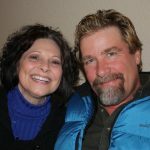 Deb Killian and her husband, Roy, are Partners with the Healing Rooms Ministries and Cofounders of Eden’s Song, a missionary ministry to Africa.